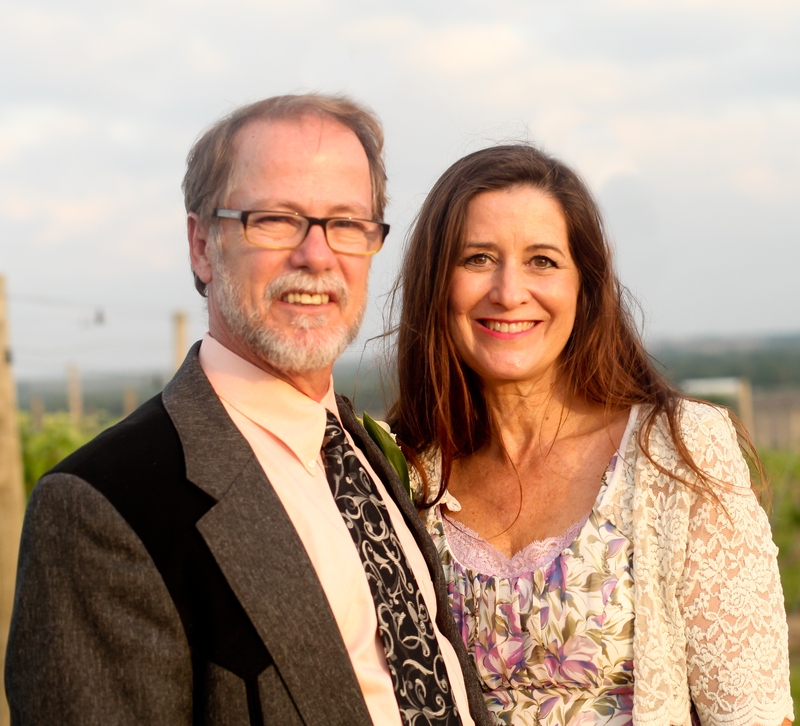 Jim and I celebrated 34 years of marriage on June 27th, 2015. We have been blessed with eight beautiful children, five boys and three girls, and now enjoy four more blessings as two daughters-in-love and two sons-in-love have joined our family in recent years. Four grandsons and three granddaughters add joy to joy! Our circle of life is vibrant and busy. Our family traveled across the United States from coast to coast for eleven years, ministering as Simple Grace, a gospel music ministry that included every one of us. We played bluegrass instruments, sang, and delighted in the opportunities God gave us to share His love in churches, prisons, camps, fairs and celebrations. The benefits of those years on the road with our family in close quarters cannot be adequately counted or articulated! Our family bonds of relationship are very strong and connected. We have been given the chance to go deep with the Lord through challenging circumstances. We’ve learned to depend on Him in ways that would never have been possible had we stayed home with conventional employment. We are so grateful for the myriad of blessings God has showered upon us. However, our lives have not always been as joyous and fulfilling as they are today. Prior to coming to Christ for forgiveness and salvation in 1981, our lives had been damaged and broken by worldliness and sin. Jim had endured a brutal and abusive home life and subsequent experiences with drugs and alcohol. My heart was damaged from the effects of living without Jesus during my young adult years. Even though Christ had redeemed Jim’s and my lives, the brokenness and pain that had occurred in both of our hearts still affected our marriage and consequently, our family as well. Committed to Christ and to one another, we knew we needed to somehow overcome the hurts and distance that the years had eroded in our relationship. In July of 2010, Jim and I spent a week with a Christian counselor who helped us immeasurably as we sorted out 29 years of marriage and complications that had occurred during our marriage relationship. That week was life-changing! We learned so much! We healed so much! All glory and thanks are due to God whose mercy and care breathed new life into our hearts, marriage and family. The restoration that was accomplished in our relationships is something that we are passionate about sharing. We have chosen to follow the Lord’s leading to serve in ministry for the healing and restoration of relationships for couples and families. Jim has completed an intensive Biblical Counseling study and internship. Today we are committed to follow the Lord’s leading, and minister to clients in our office in Martell, Nebraska, which is near Lincoln. The needs of couples and families for restoration and growth in relationships is overwhelming in our culture today. Jim has had the awesome privilege of counseling over 250 couples as they sought help for their marriage stability and happiness. Our goal is to help others find freedom, healing and intimacy in their relationships. Jim and I continue to grow and heal, enjoying an intimacy that we never dreamed was possible. The hope we offer through Jesus Christ is: It’s Never Too Late to Live Happily Ever After! Amen!